Looking to give your rooms a completely new look? 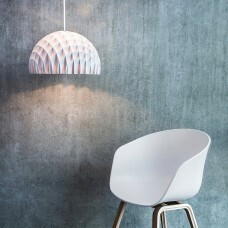 Try out our latest collection of lampshades. We bring you an exclusive collection of the best light shades on the market that can be suitably added to your home, office or any other room to enhance and beautify its interior décor. Whether you are decorating your new room or redecorating an old one, adding the right lampshade can do wonders beyond your imagination. Our collection of lampshades is varied and extensive so that there is always something for everyone. From large ceiling lamp shades to small lamp shades we sell everything in between we have everything that your heart may desire. We keep adding to our collection so that you never run out of ideas every time you wish to change the look of your room. 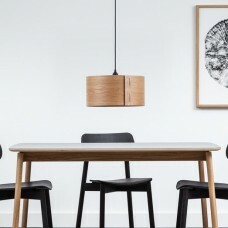 We understand that different people have different tastes so, we not only have lightshades for various areas, but also a good collection of lightshades in different sizes and shapes. 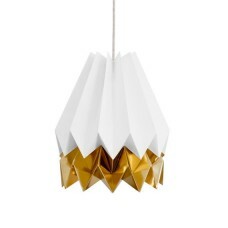 We sell everything from common bell-shaped lampshades to contemporary geometric light shades, you will definitely find something to match your style. 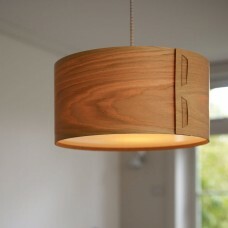 We also offer a wide range of lampshades in a range of materials when shopping for new lampshade. 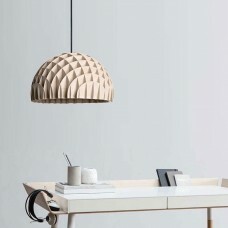 The choice of material is important when blending with your interior décor and as such, you can easily find wooden light shade like the Lily Pendant Lampshade or paper lamp shades as our best seller Origami Lampshade in 2 Tones, in our collection. 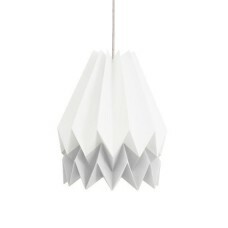 If you are looking for a light shade that would go best with a vintage interior décor, you can easily try out our collection of Scandinavian lamp shade that will surely spoil you for choice. 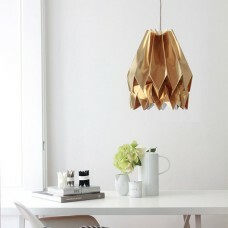 For a more rustic look, a copper lined lampshade will be your ideal choice. 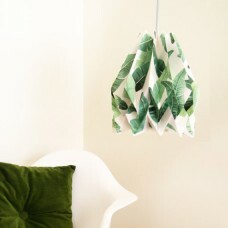 If you are planning to buy shades for your kitchen, stairs or maybe your porch, pendant lamp shades are what you should be looking for. 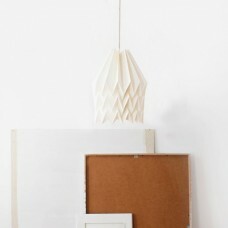 They are simple and subtle, yet, in no way, less decorative than the various modern lamp shades that we have in our collection. 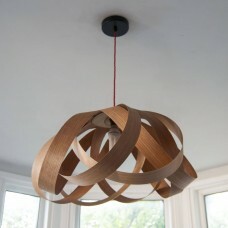 These shades are good for dining areas, bars, private lounges, etc. where the ambiance is more important than just a show-off décor. 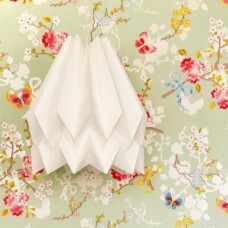 If you love your room bright and bold, a flower lampshade is what you should be looking for. They usually come in vibrant and bright colours and are an excellent choice for a statement décor, modern fashion houses, and such. 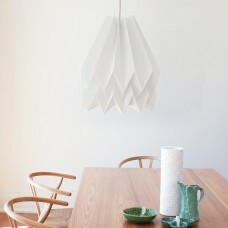 For those who want things a bit different from the norm, we have a collection of unusual light shades that can be well matched with your interior décor for a completely unique look. Not only are our shades an excellent choice for decorating your own property, they can be an excellent choice of gift item as a home warming present. 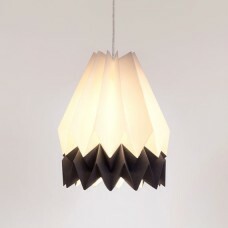 If you really want to gift your dear ones something that’s beautiful and useful, then there is nothing better than the contemporary light shades we offer. They are all very reasonably priced and can be shipped worldwide. 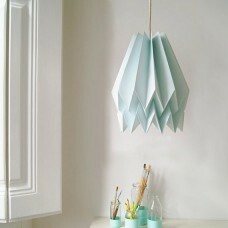 Origami Lampshade Plain, made in Portugal with paper and designed by Blaanc. 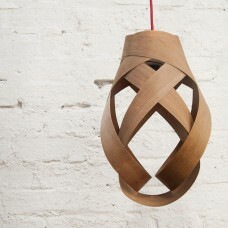 The wooden Drum Pendant Walnut Lamp Shade designed in Germany by GARAGE EIGHT.